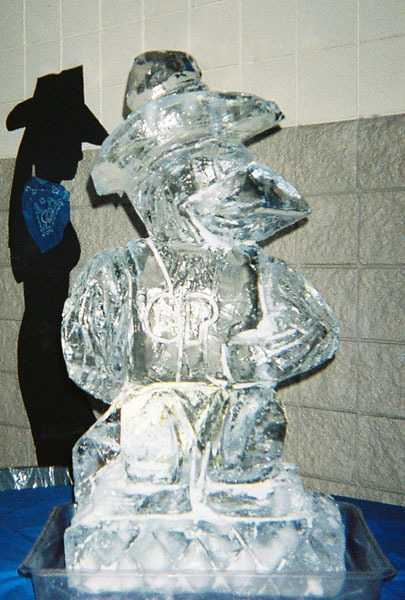 All Ice Sculptures are carved at our facility from 300 lb blocks of ice using chain saws and hand tools, NO molds. They are then stored in our freezer until delivery. 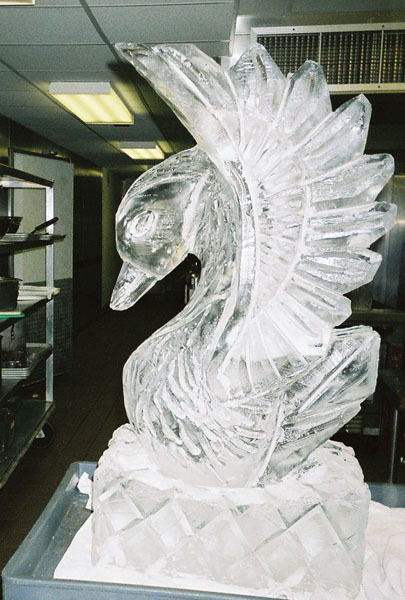 Our ice sculptures are delivered in freezer trucks to insure no loss of detail during the delivery process. 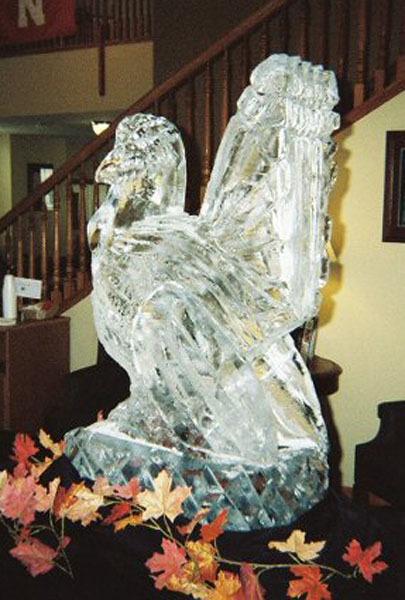 The price of most carvings is $285 delivered and setup (Omaha - Council Bluffs metro area). 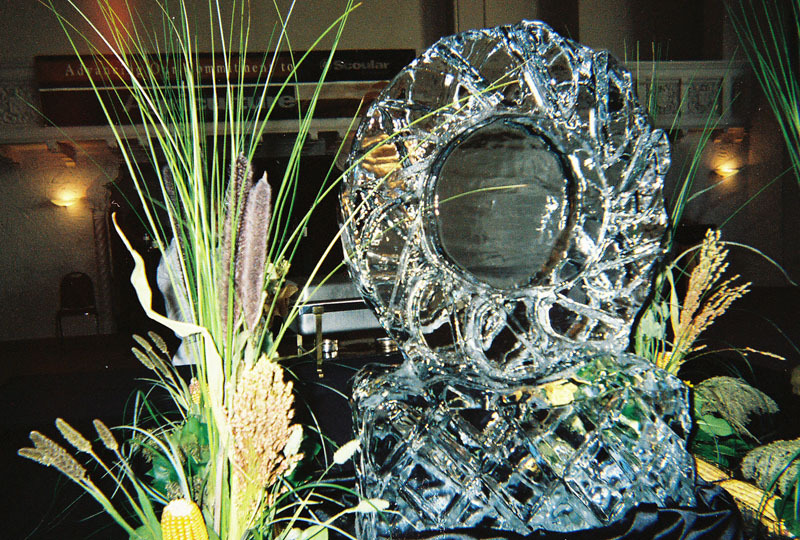 All carvings must be ordered and paid for at least 7 days prior to the event. A one use clear drip pan is an additional $25 fee. 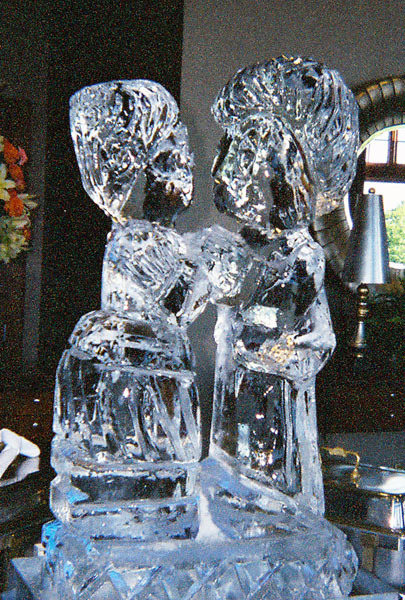 Luge ice carvings are an additional $25. 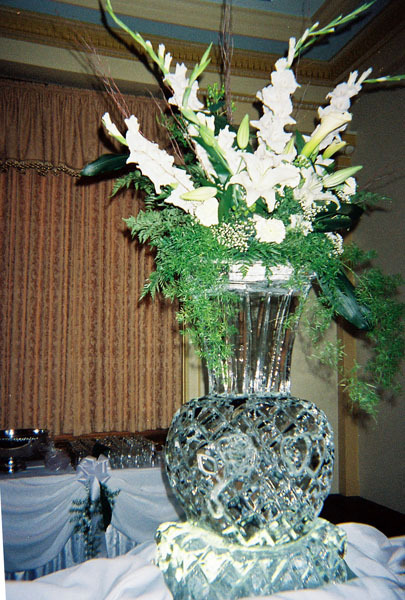 Choose wedding sculptures such as flower baskets, bride and groom, girl and boy, hearts, shrimp boats, swans, vases, and many others. Choose from a list of previous sculptures or submit your own picture. 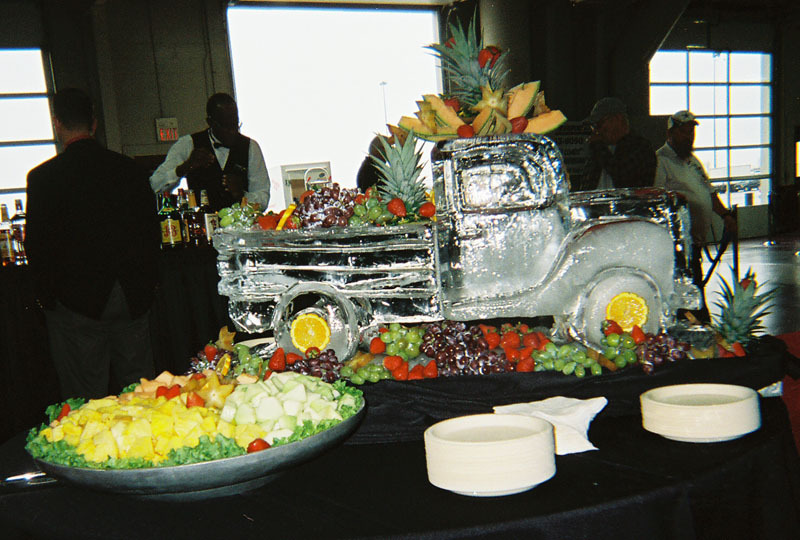 Previous sculptures such as a Cross, Castle, Creighton Mascot, Pickup Truck, Shrimp Boat, and many more would be a great addition to any event. 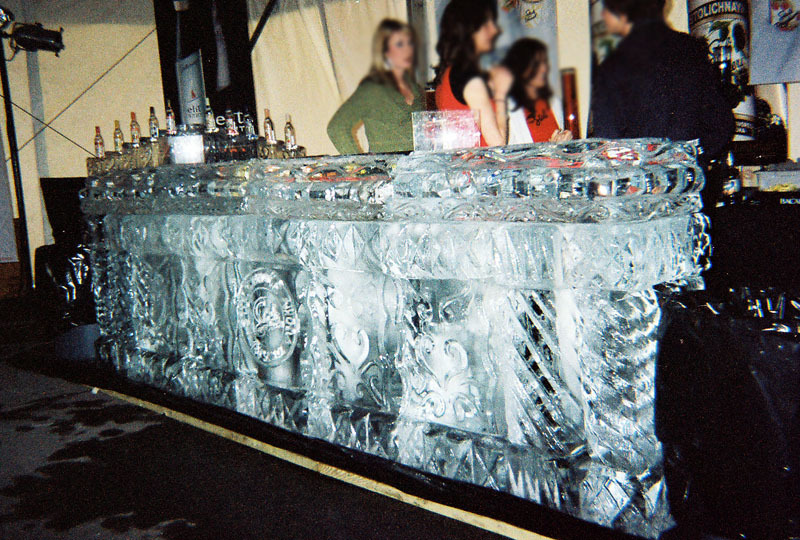 Full bars can be created with any object imbedded in the ice or with an emblem carved into the front. 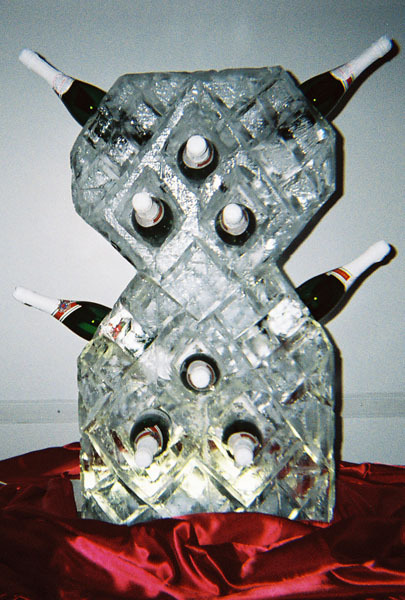 Bottle holders for wine, champagne, or liquor of any type can be created at your request.